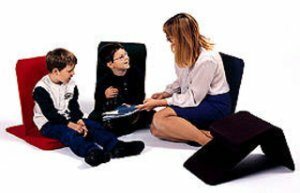 Back Jack chairs are popular, sturdy, economical portable meditation chairs for floor sitting. They’re made in the USA and feature a soft 10-oz cotton duck fabric or the newer ‘tuff-duck’ polyester fabric cover, both over a rigid, lightweight, steel rustproof frame. Each backjack has an integrated seat cushion, heavily padded for comfort. We carry the full line of Back Jack Chairs for floor sitting including Back Jack Covers, Cushions, and Fabrics in all the sizes and colors. We offer discounts of 5%, 7%, and more! We now ship Back Jacks outside of the US! Click here to learn more. The popular, stackable chair—our most popular and economical meditation chair. The “Original” is our most economical and most popular chair. The Original comes with a cotton duck cover in all 9 colors and the tuff duck fabric is available in 4 colors. 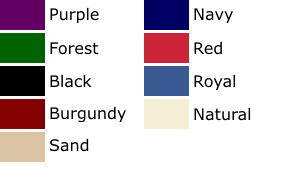 See color chart below. (14 in. wide x 21 in. tall x 22 in. deep). Order 2-5 quantity and get a 5% discount! Choose Color & Quantity, then Add to Cart. UPS Ground Shipping & Handling additional. They fold flat for compact storage and transport. 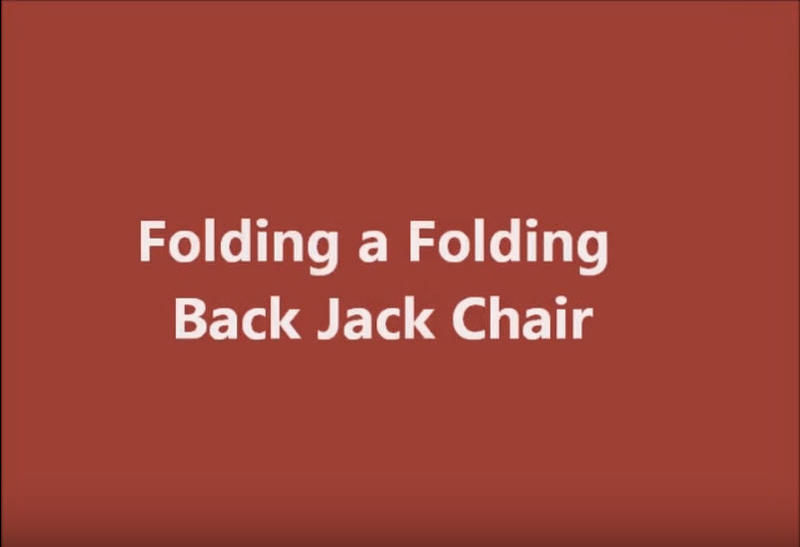 The Folding Back Jack Chair is especially convenient to carry and store—under 4 inches thick when folded. The Folding Chair features a patented spring-loading and it folds flat with an elastic strap, which holds the meditation chair securely in place for transport or storage. The cotton duck cover fabric is available in all 9 colors and the tuff duck fabric is available in 4 colors. (Dimensions are: unfolded: 14 in. wide x 21 in. tall x 22 in. deep; folded: 14 in. x 21 in. x 3 in.). Kids and adults love the extra room. The Extra Large BackJack Chair is wider (2.5 in. more) and taller (2 in. more) than the Original Back Jack Chair. Kids and adults love the extra room the Extra Large BackJack provides. Just like the Original, the Extra Large is stackable. A cotton duck fabric cover is available in all 9 colors; tuff duck fabric in 4 colors. (16.5 in. wide x 23 in. tall x 22 in. deep). Replacement chair covers are available in Cotton or Tuff Duck fabric. It is not recommended to wash your cotton Back Jack covers. Cotton covers come in all 9 colors. 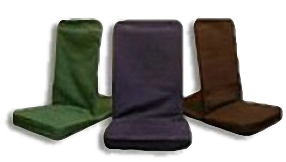 Tuff Duck covers are available in 4 colors. Back Jack cushions come in two sizes: Original/Folding (14.5 x 10.5 x 2.5 inches) and Extra-Large (16.2 x 13.2 x 2.5 inches). Cotton cushions come in all 9 colors. Backjack cushions can be placed either on the seat or held in position on the seat back with an elastic strap—included. Ask about our WHOLESALE discounts for quantity orders—16 or more meditation chairs. Email us or call toll free at 1-888-575-5332 for details. Sorry, we don’t accept purchase orders. 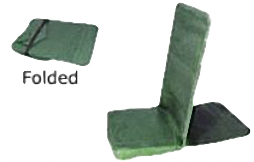 Until only a few years ago, Back Jack meditation chairs were available with only a standard cotton duck fabric. The cotton duck fabric should NOT be washed. It can, however, be spot cleaned on the chair frame. Some of our customers prefer the cotton duck because of its softer feel. Tuff duck is a newly-introduced polyester fabric and it is considerably stronger than the cotton. Its special coating also makes it much more resistant to stains. While the tuff duck fabric may not be washed, it is damp-cloth wipeable and it will sustain rougher use, indoors and outdoors, compared to the cotton duck fabric. 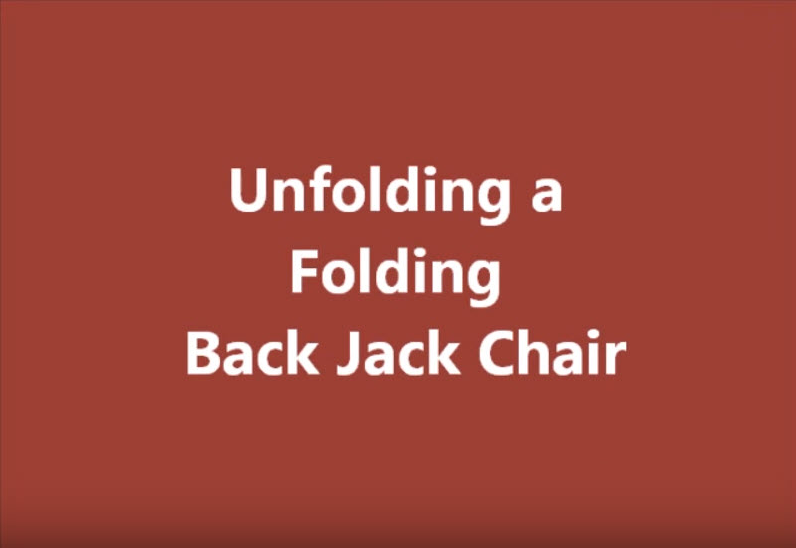 For all these reasons, we recommend Tuff Duck fabric for all of our meditation Back Jack chairs, cushions, and replacement covers. We carry all colors and fabrics in stock. Our standard Back Jack shipment within the Continental 48 US states is UPS Ground service. We now ship Back Jacks outside of the US. Click here to learn more. We typically ship within 1-2 business days of receiving your order. Once your order is shipped, transit times can vary from about 2 to 6 business days within the US and an additional 3-6 days internationally.